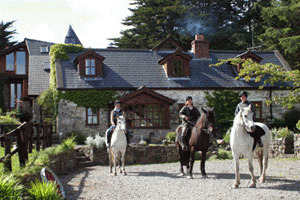 Experience Ireland’s castles, pubs and history from a 300-year-old farmhouse near the River Shannon or take a progressive trail riding vacation through the Burren to the Cliffs of Moher and the Atlantic Coast. 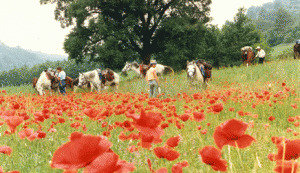 Ride from chateau to chateau on this France riding holiday in the Loire Valley. Overnight in elegant small family run hotels converted from chateaux and ancestral homes. Enjoy gourmet picnics of local delicacies and elegant candle-lit dinners with fine cuisine. 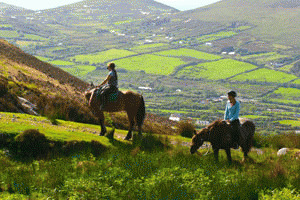 Explore Ireland's famous Ring of Kerry with its lakes, mountains and golden sandy beaches on a six night or two night riding vacation, staying in B&B's and small hotels to experience life in this stunning area of Ireland. 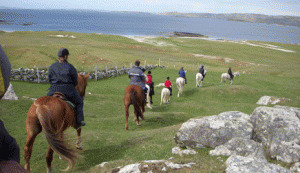 Connemara Trail Ride with legendary Irish horseman Willie Leahy in dramatic Western Ireland. 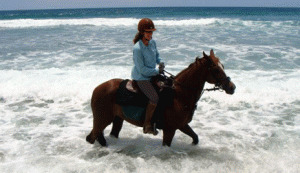 Choose mountains and beaches with the Connemara and Coastal Trails from April to October OR October to April to enjoy fox hunting in Ireland with the Galway Blazers and a superb cross country course. 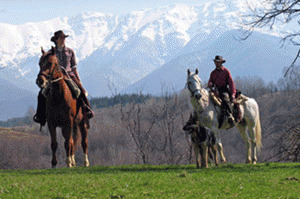 Horse riding holidays Europe! 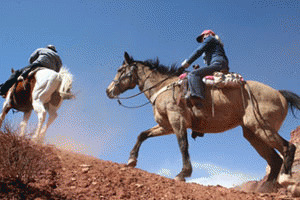 Enjoy classic mountain trails, Bulgarian food and culture. 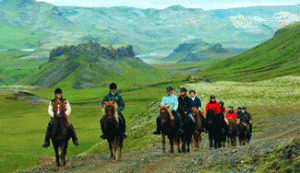 Start in the charming mountain town of Apriltsi and horse ride along ancient trails and over impressive mountains, through mountain passes to waterfalls and villages. Spend nights in simple mountain chalets, the newly built guesthouse and historic monasteries. 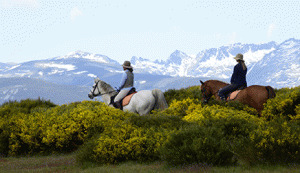 The Spain Historic Villages & Sierra de Gredos Riding Vacation is one of the best kept secrets in Europe! 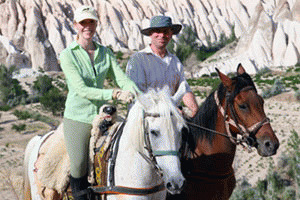 A superb opportunity for intermediate and experienced riders to explore the valleys and the mountains of the Sierra de Gredos in the heart of Castile. 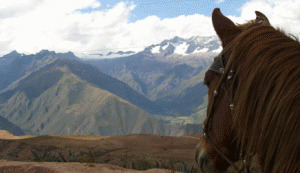 Peru horse riding vacations high in the Andes Mountains through the Sacred Valley. 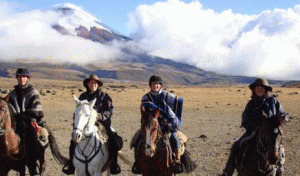 These riding holidays combine colorful mountain culture, historic Inca ruins and stunning scenery. 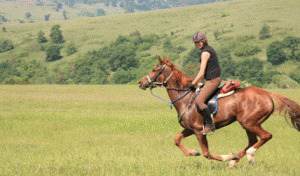 Romania riding vacations through the foothills of the Carpathian Mountains to medieval villages in Transylvania, UNESCO sites, and through endless hills, meadows and open areas great for cantering. 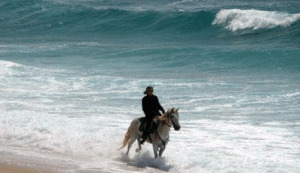 Get to know the locals on this authentic riding tour. 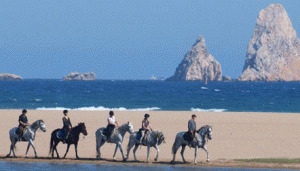 Portugal Horseback Riding Vacations along the wildly beautiful Alentejo coast. 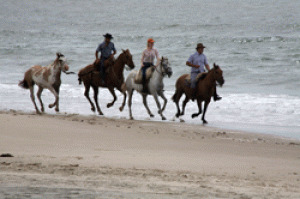 Horseback ride on beaches and visit historic whitewashed villages on Lusitano horses.